It might surprise you to realize that the latest HDMI splitters are made to be unbelievably small. When you have a compact, portable and lightweight HDMI splitter that you can easily take it anywhere and use it anytime, you will greatly appreciate the rapid improvement of high technologies and brilliant ideas in new designs for electronics. Usually, a typical splitter has an HDMI input to connect a display source while some have a few inputs for multiple connection. HDMI splitters are powered by their own power source. This makes it difficult to split HD videos on 2 or multiple displays technologically. 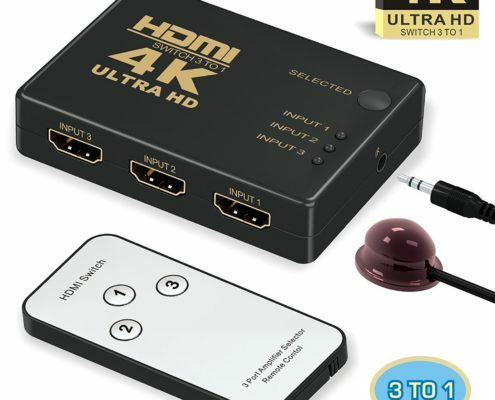 However, the newly-designed HDMI splitters are able to solve all the HD sharing and connection problems with high quality transfer. Let’s list some of the best HDMI splittters on the market. They will meet your need for HD movies on large display connection. This Aibocn HDMI 4K Be-Direction Switch/Splitter widely supports HD 4K*2K, 3D for HDTV, PC, DVD, STB and more. It can be used as an HDMI splitter and also an HDMI switch for HDMI display connection. This switch and spilitter is designed to work for HDMI devices, such as PC, X-box, STV/Blu-ray, HD player, PS3/4 and other devices and display. Other than wide compatibility, the splitter has integrated advanced chip to optimize the high definition quality. This HDMI spilitter device is user-friendly and portable. 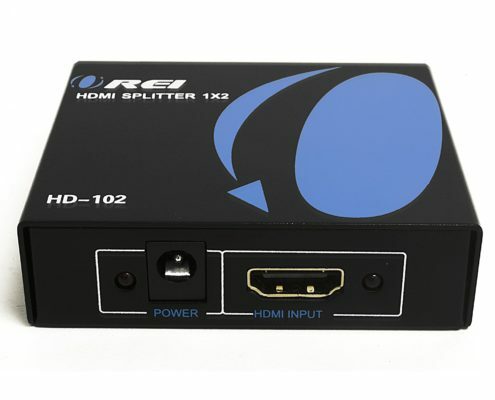 This HDMI splitter can split one HDMI input signal to two HDMI output signals which are identical to the input signal. It’s built with heavy-duty metal enclosure that protects the whole unit well. The unit has quick heat absoption and dissipation by using the cool metal material. It supports a great variety of video formats, such as Deep Color 480i/ 576i/ 480p/ 576p/ 720p/ 1080i/ 1080P/ 1440i/ 1440p. It also works perfectly with HDCP, LPCM, Dolby-AC3, DTS7.1, DSD/Dolby TrueHD/DTS-HD master audio etc. This HDMI splitter takes audio and video signal from one source and simultaneously outputs them to two HDTVs or HDMI displays. 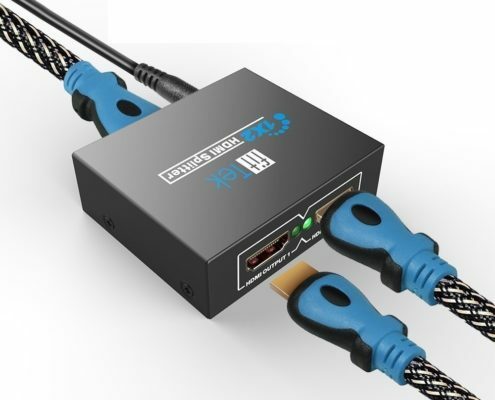 This 1 in 2 out HDMI splitter is easy to use, you just need to simply plug and play with the power supply connected. And it will takes a just a few seconds to connect one HDMI source to two HDMI displays. The HDMI Splitter works perfectly with HDMI devices like 4K TV, projector, HDMI LCD, Cable box, Blu-ray player, DVD player, PC, STB, PS3 etc. This HDMI Spliter 1 in 2 out is designed to ensure high-quality image without signal loss. 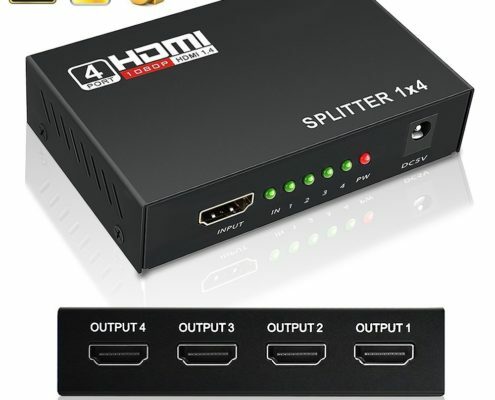 This HDMI splitter has 4 outputs which all receive high-quality data in a very timely manner. The LEDs help a lot to show that the connection is stable. The video quality can even do 3D and 4K 1080P amazingly. It works with most displays or projectors. The splitter is made of reliable metal material for great durability. All that you need is an HDMI cable to connect your devices and enjoy HD movies or video games. 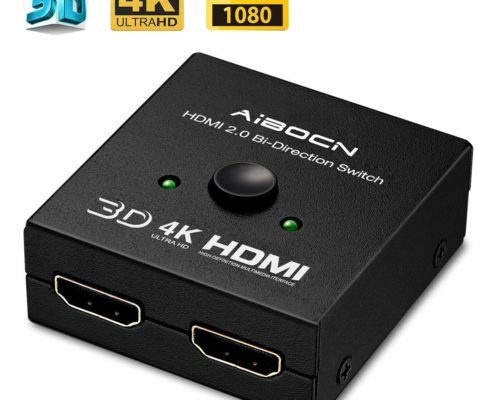 This HDMI switcher supports 4K resolution, deep color and 3D effect. It can neect up to 3 HDMI compatible devices for seamless connection without external power or tools required. It comes with an infrared remote control for you to easily switch between devices. The HDMI switch comes with a 5V power port and a USB power cable that allows you to use it with more other deivces, such as Nintendo Switch, Blue-ray, PS4, PS3, Xbox, HD-DVD, SKY-STB, Xbo360 and most of the other audio and video devices. 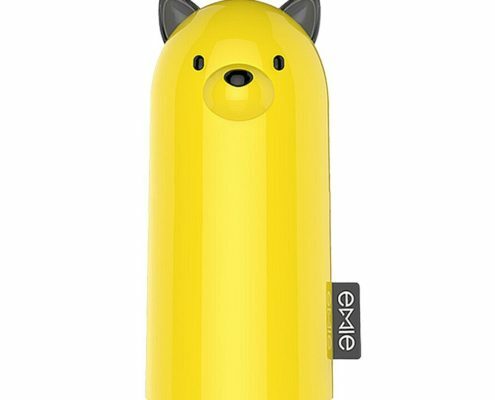 Like most youngsters who are so obsessed with new things of bright colors and unique design, you would like to have a most stylish model when you try to get yourself a portable power bank that you can use when outdoors, or on the way somewhere. Since there you could find so many choices for a portable and stylish power bank online most conveniently, you don’t actually have to worry about how it looks. Instead, you should focus on how it works. There are a few cases too sad to be true. Some power bank manufacturers or sellers online have inevitably been complained about the functionalities and performance of their products. In order to win more customers and build up a trustworthy brand, many power bank, portable charger manufacturers spare no effort to improve even every single details that would make a power bank work better. Much thought has been put into the design and a lot of work has been done about the safety, protection and the charging efficiency. So, at present, what can you see online if you attempt to search for a brand new power bank? Among all those designs with dazzling colors, various USB ports and specs, you can easily get what you need. Let’s check out the best roundup for the latest mini portable power banks with fast charging performance in 2018. 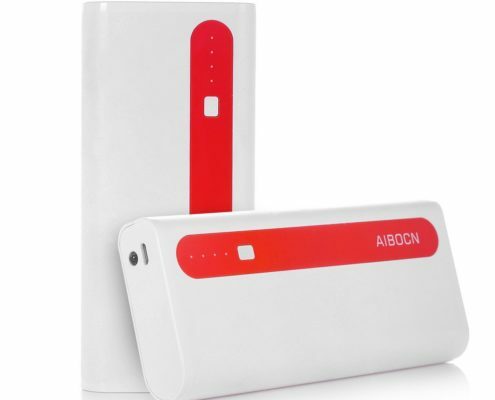 If you are looking for a small power bank that can charge your devices on the way impressively quickly, this Aibocn 10000mAh portable power bank would be your best choice. The design is beautiful and stylish. The look isn’t that charming or exceptionally attractive, but it looks neat, fit, simple and elegant in pure white plus some specially decorated red coating. 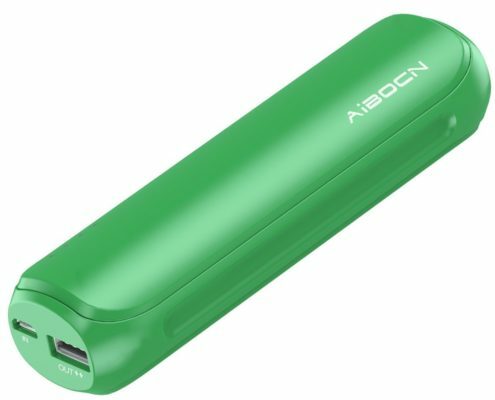 You can enjoy a lot of benefits using this Aibocn power bank. The dual USB ports enables you charge two devices simultaneously. USB ports charge your devices at respectively 2 amps and 1 amp output, which can be arranged for different need. The exquisite design shows great ergonomics, the unique anti-fingerprint coating allows you to hold in hand most comfortably. The 10000mAh high capacity carries plenty of power juice on the way. The power bank has a small, portable size and is light enough to carry for travelling or anywhere you may go. The highly safe power bank allows you to charge your phone or other devices without needing to check how it goes once in a while because it has pretty good protection to ensure the safety. The intelligent circuitry inside fully prevents overload, over discharge, unstable current and voltage, and short-circuit etc. Plus, this multifunctional power bank can be used as a useful flashlight when you need to see in the dark. 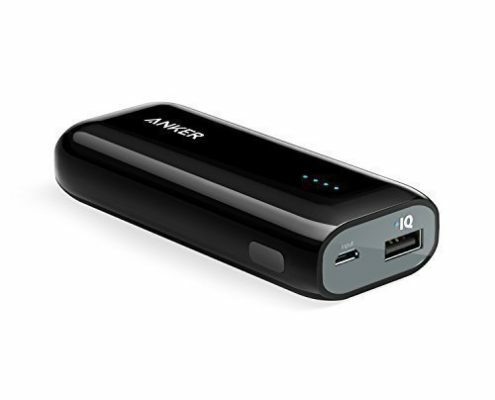 This Anker external battery power bank has a compact design, with a small size that fits perfectly in your pocket. It provides great conveniences to carry around most easily. Because of Anker’s exclusive PowerIQ technology, it’s able to detect your device for fastest charging speed, up to 2 amps. This portable power bank is built with a 6700mAh battery inside which can output 10 watts, 5 volts and 2 amps for better and quicker charging. It does an excellent job charging cell phones, for example, it’s able to charge an iPhone 7 Plus’s 2900mAh battery almost twice in despite of this 6700mAh capacity. Let’s see what’s coming next in this list: another Aibocn’s new model, Mini Power Bank 8000mAh. Despite 8000mAh capacity, it stores enough power inside and charges your cell phone at high speed by using 2.1 amps for the USB output. Customers love this portable charger mostly due to its mini size. It comes in handy with fast charging technology, giving you the most convenient backup power on the go. Like all the other Aibocn chargers, this 8000mAh portable charger is a travel-friendly power bank with an extremely mini size 1.2*5.5*1.6 inches. Being small and compact, it has full protection against over charge, over discharge, over heating and short-circuit. It will automatically turn itself off for protection when it detects over heat during charging. This is one of the most stylish power banks on the market. This eye-catcher comes in handy and has won a 2014 Taiwan International Design Reddot award for its unique design. Other than the creative design, this compact portable charger can charge your devices fast enough with 2.1 amps charging output. The portable charger has a long battery life as you can recharge it for 500+ times. The power bank uses most reliable LG and Samsung lithium-ion battery cells with great stability and performance. You can enjoy easy charging with protection from over charge, over dishcarge, over heat and short-circuit. The 5200mAh external battery is a safe and helpful backup power charger in your daily life. The pocket-size small power bank weighes in at only 0.31 pound. You will barely feel the weight when you put it in your pocket or hangbad wherever you go.